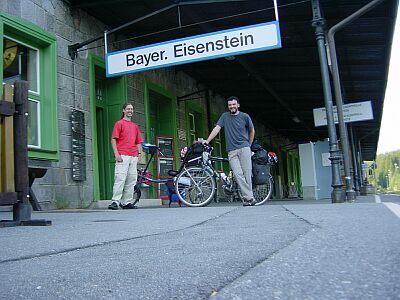 06/01 The arrival in Bayerisch Eisenstein. 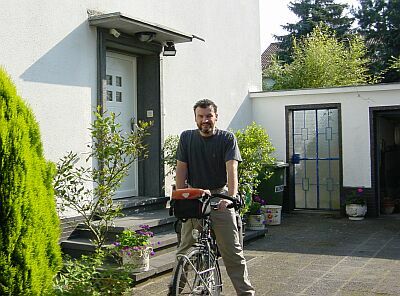 This is the last village in Germany. 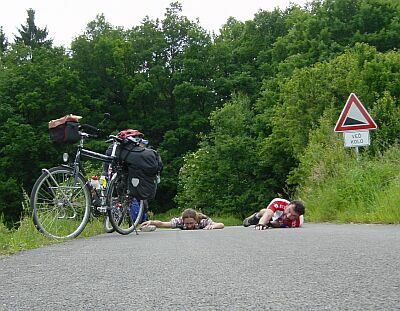 The next day, we had to cycle about 2 km in Germany to reach the Czech boarder. 06/02 We were very lucky with the weather. Beautiful sunshine - at least for the first days. 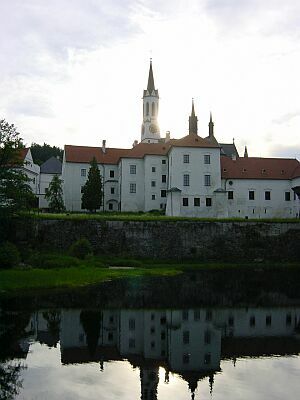 06/03 The monastery in Vyí Brod. 06/03 Cesky Krumlov. We spent some hours in the incomparable town. 06/04 After climbing up this hill we were totally exhausted. 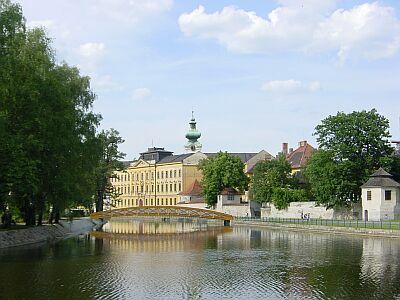 06/04 Budweis (Budvar), the real origin of Budweiser beer.